About Us | Custom Ingredients, Inc. Ingredients, INC. is committed to the development of specialty chemical blends, high quality natural oils, polymers and extracts. We tailor our products to customer needs, optimal performance, and superior batch-to-batch consistency. Our staff of technically trained sales consultants are 100% degreed scientists. We also offer an in-house applications lab to provide excellent starting points for utilizing our products in the customer applications. Since we opened our doors in 1995, our primary goal has been to satisfy the need of customers who desire custom and optimized ingredients not found in the marketplace. Initially, we started out with 3 products including a shampoo concentrate that became the base for an entire line of pet care products. Today, the shampoo accompanies over 200 other products, with keen focus on our CustoBlend, CustoPoly , Phytol and CustoCide lines. Under the strong leadership of Cathy Ayer Clark, and Ingredients, INC. “customer-centric” approach to customer service, we continue to offer superior quality surfactants, surfactants blends, natural oils, polymers and special ingredients for the cosmetic and industrial markets. Our facility is a certified USDA organic handler and processor. Our worldwide resources can source raw materials from around the globe and store it convenient to you. 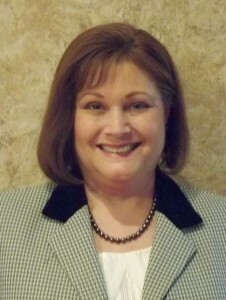 Cathy Ayer Clark holds a BS degree in Chemistry from Oglethorpe University, and an MBA in Finance from Georgia State University. Prior to starting Custom Ingredients she worked at the lab bench formulating with an emphasis in surfactants, in specialty chemical sales and distribution and for Sandoz Chemicals in market development for Specialty Industries. This experience provided a broad view of the industry from many different and valuable angles.